"Park City ~ Past & Present" by Utah author and photographer Rick Pieros. "Park City ~ Past & Present" explores the storied history of Park City, Utah through historic photographs recreated in present day by local photographer Rick Pieros. Beginning with the mining boomtown of the late 1800's, "Park City ~ Past & Present" chronicles Park City's mining heyday, the historic architecture of Old Town Park City, Park City's historic railroads, the decline of mining and Park City's "ghost town" era, the history of skiing in Park City and the development of the area's world class resorts, as well as the early life in the Snyderville Basin. 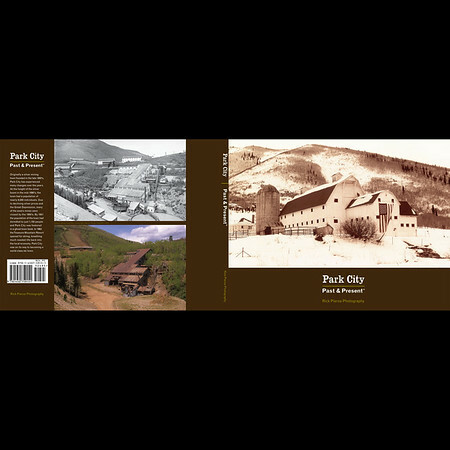 Featuring more than 100 color and black and white photographs of Park City, "Park City ~ Past & Present" is the definitive photographic history of Park City. Perfect bound, soft cover, 8.5" x 11", 88 pages. $24.95 retail. Wholesale available to the trade.